U.S. Customers click to pay via PayPal! Cost: Bookstores: $18.95 + tax Order Here: $20.15 (includes postage and handling, U.S. RESIDENTS ONLY, no tax except MN residents see below) Minnesota residents add 6.5% ($1.31) sales tax (sorry, it’s the law – PayPal figures this automatically) Books will be shipped via US Mail in a sturdy mailer within one day of receiving your order; allow 5-8 days mail delivery. All books signed by the Renegade Gardener, thus adding immeasurable nugatory value! Click pages to see larger images. 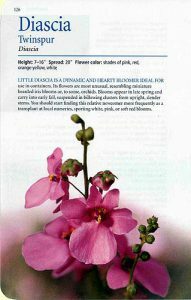 Complete information on height, spread, light, soil, and water requirements is given for each plant. Suggested uses, and positive AS WELL AS NEGATIVE attributes of each plant is discussed—the book is written by the Renegade Gardener (with editor Don Williamson), after all! 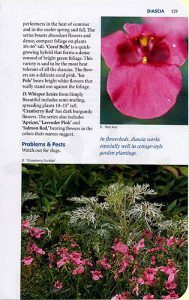 If a plant is particularly well-suited for containers and/or flowerboxes, it’s noted as well. We did not limit the book to bedding plants you will always find as pre-starts at the nurseries, though that is often the case. 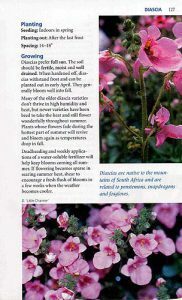 We included a number of fabulous, less common annuals that gardeners can easily grow from seed, so as to have flowers in your gardens and containers that will fill your neighbors with envy. Lone Pine is a Canadian publisher based in Alberta, and they put out beautiful gardening books. This book is a smart size, with rounded corners that won’t get beat up when you pop it in your bag or toss it on the front seat of the car; you’ll want to take it with you every time you visit the nursery. 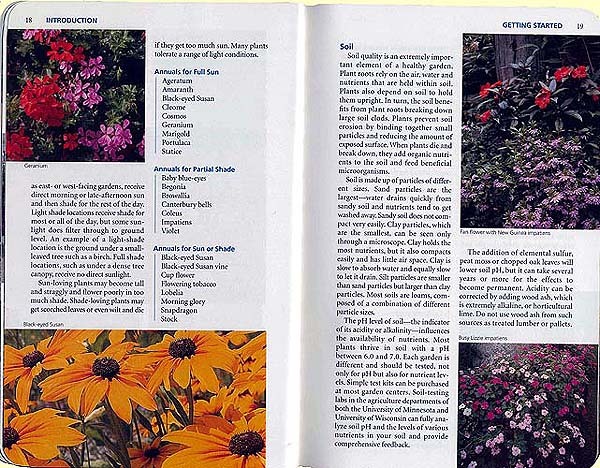 Combining Annuals for Minnesota and Wisconsin with my books Perennials for Minnesota and Wisconsin and Tree & Shrub Gardening in Minnesota and Wisconsin gives you a complete, affordable library covering all aspects of gardening in USDA Zones 2-5.